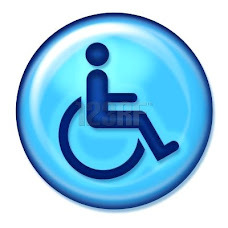 Welcome to the Concerned Citizens For Disability Advocacy Blog. This Blog was created so all concerned citizens could have a place to post their views relating to disability advocacy. We encourage healthy and constructive commentary as it relates to disability advocacy by lawyers,health care workers,community leaders,teachers,law enforcement and all concerned citizens. We encourage all posters to sign your real name to postings for accountability. Anonymous posters will not be recognized. Settlement Agreement Between the United States and Hotel Headquarters Associates, L.P. They will just eat it up somewhere else. I wonder if these is another venue hosted upon Tax Payer Funded Land that IS NOT ADA Compliant? Calaveras County is having the same issues only claiming exemption and trying to fight it all the time wanting it on Tax Payer Funded Lands. THIS IS MORE COMMON THAN YOU THINK! Chairs for Humanity was a huge success! Thanks for your support. - Chairs for Humanity was a huge success! Thanks for your support. Through my eyes: Living with anxiety and addiction - The most memorable and joyous moments of my life are laced with a dark cloak of anxiety. Read about my journey to recovery from both anxiety and addiction.